It's hard to say where exactly I grew up because we moved so often, but for the most part Reno, Nevada USA, is what I called home. Like many travelers today, I wasn't cut out for the corporate grind. That's when my life truly began. I sold everything, spent time in Brazil and found paradise and a new life, in Colombia. "All things related to Coffee Country around Pereira, Armenia and Manizales. 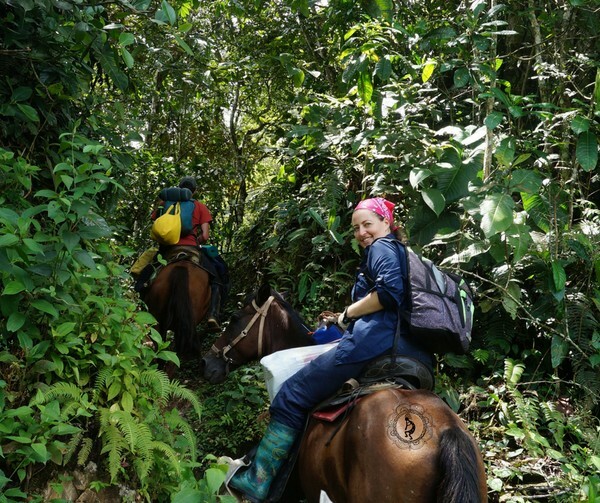 Also, the southeastern corner of the Department of El Choco where we are taking visitors into one of the most untouched regions of Colombia, for the first time! " "From my own passion for travel, adventure, adrenaline and new places!" "My most memorable solo journey was when I was six months pregnant. I went to Cartagena on a solo trip, spent time in the ocean, rode a bike around the Old City, ate dinner with strangers, and hiked my pregnant belly up the Castillo San Felipe. It was the serendipity, the sense of adventure - and of not conforming to the "expected", but rather following my own self-awareness, that made this trip so special." Colombia's Coffee region is full of great accommodation options, from haciendas on coffee plantations to small hostels and boutique hotels in towns and cities. Use this list to find the best places to stay after a long day of biking, hiking and coffee tasting.